A kindly reader sent a donation for my birthday, earmarked for splurging on something special for the occasion. 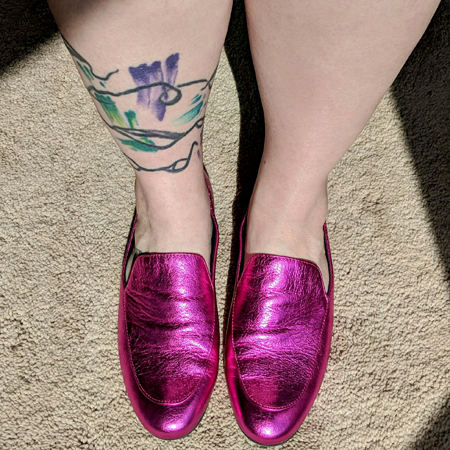 So — and with Deeky's encouragement to actually treat myself — I got myself this pair of magenta flats, WHICH I LOVE SO MUCH OMGGGGGG. I got them at Shoes.com, which is currently having a 30% off sale, in case you've been waiting for a good sale to get yourself that pair of shoes you've been wanting or needing.